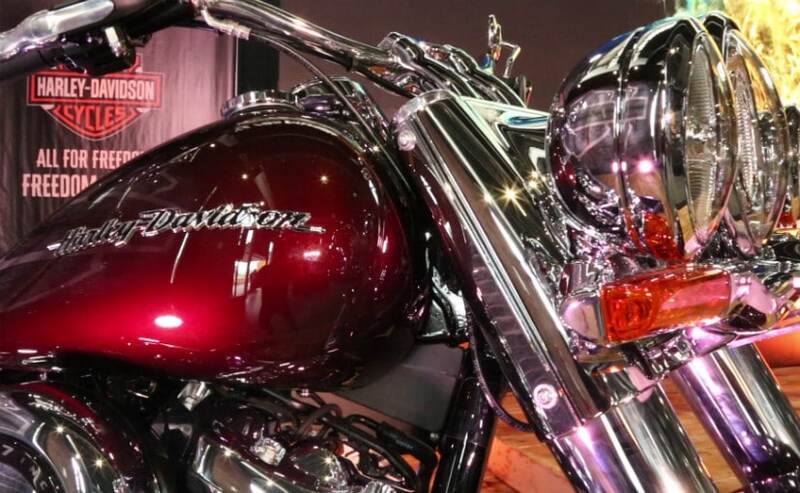 We take a close look at the all-new 2018 Harley-Davidson Softail Deluxe, a vintage style all-American cruiser dripping with chrome which is bound to turn heads every time you take it out on the street. Harley-Davidson India has launched the 2018 Harley-Davidson Softail Deluxe, a vintage-style, old-school cruiser which will certainly appeal to fans of Harley's inimitable classic cruiser design. 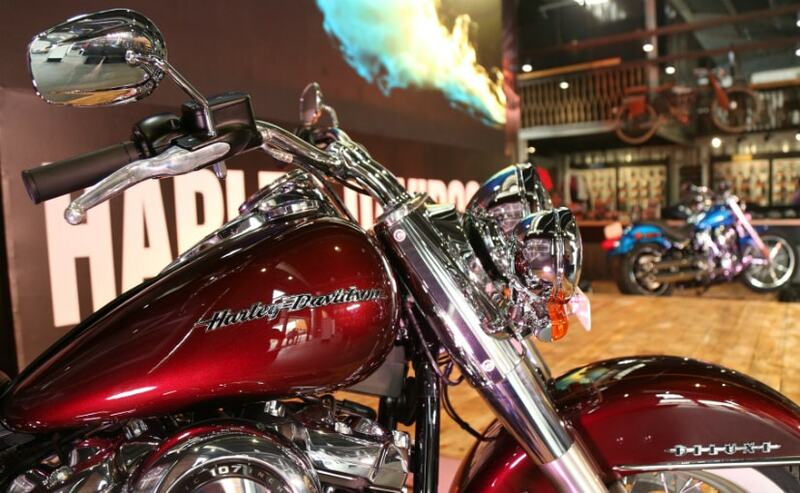 Last year, Harley-Davidson India launched four new models in the 2018 Softail family, but there's been mixed reactions from purists and fans of one of the largest selling Harley models worldwide, the Fat Boy. With matte chrome on the Fat Boy, called the satin chrome finish and a modern headlight nacelle design, the 2018 Harley-Davidson Fat Boy's design moved away from the full-chrome, all-muscle design of the earlier Fat Boy models. And this is the void, the new Softail Deluxe tries to fill, and bring back the nostalgic all-American vintage cruiser design. 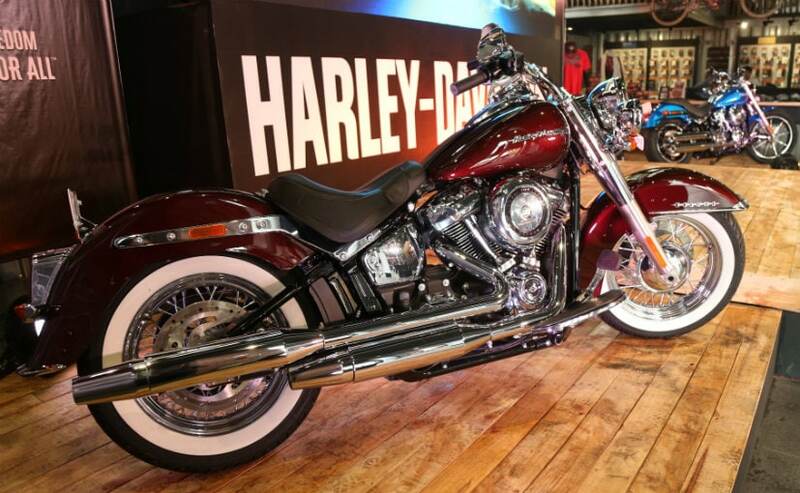 The new Harley-Davidson Softail Deluxe is certainly bound to be a proper head turner with its vintage cruiser looks, dripping with shiny chrome accents all round. The design is a modern take on the classic American cruiser theme, so you have the full-skirted steel fenders, white-wall tyres, chrome-laced wheels and pull-back handlebar to give that laid-back, relaxed cruiser riding position. 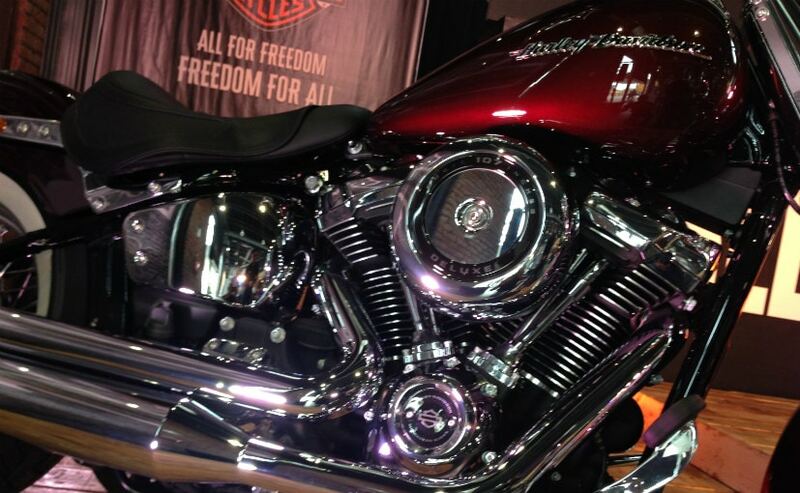 The headlight design is classic too, round with two aux lights flanking it, and in high-gloss chrome. But it's now full LED, and two 'winged' LED turn signals sit just below the array of lights up front. At the rear, the classic hardtail look is maintained, thanks to the concealed monoshock suspension, and the fat rear fender is adorned with a classic dome-type taillight flanked again by LED 'winged' blinkers. All that chrome and vintage styling cues certainly give the Softail Deluxe a nostalgic aura about it, but under the skin, it gets a refined, modern powertrain and all-new chassis. Like the rest of the 2018 Sofftail range, the Softail Deluxe is also powered by the same 107 Milwaukee-Eight engine. The 1,745 cc v-twin engine has four valves per cylinder, dual counterbalancers and is proven to be a smooth and refined engine. The 107 uses precision oil-cooled cylinder heads and is said to make greater power and torque, while being fuel-efficient and highly reliable. The all-new Softail frame is lighter and stiffer than previous models, stiffer by 65 per cent and offers superb handling and cornering, and it also offers increased lean angle and more precise steering. 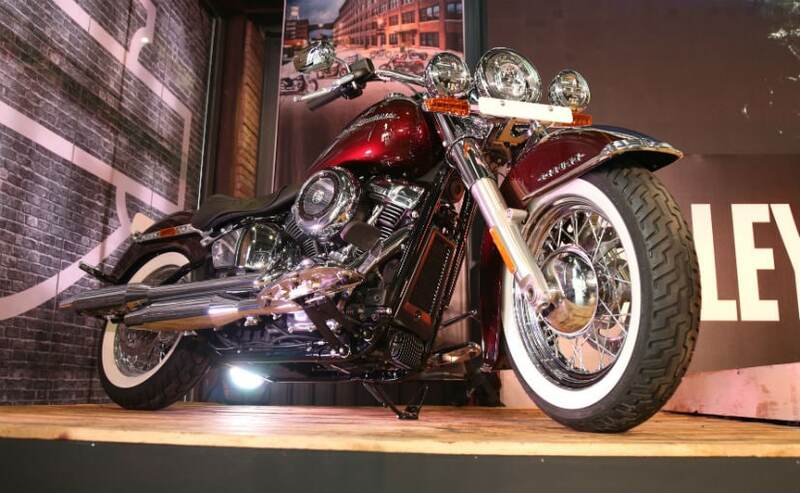 Like the rest of the Softail models, the Deluxe also gets the Show Dual Bending Valve fork, which reduces weight and also offers much better damping performance, to provide a more comfortable ride and improved handling. At the rear is a single, underseat shock which is concealed, giving the Deluxe a clean, hardtail look. 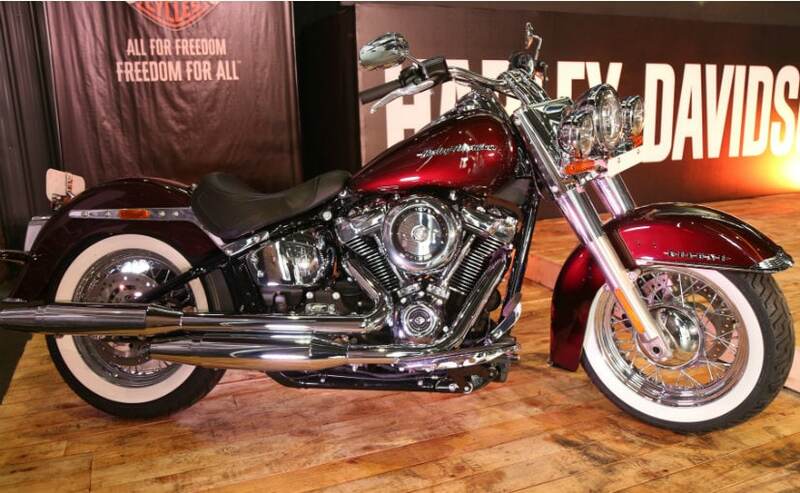 The 2018 Harley-Davidson Softail Deluxe is priced at ₹ 17.99 lakh (ex-showroom). At that price, the Softail Deluxe locks heads with the Triumph Thunderbird LT, which is priced at ₹ 16.81 lakh (ex-showroom). But more than competing with other brands, the Harley-Davidson Softail Deluxe offers a clean, classic, vintage-style, all-American cruiser which is just ₹ 50,000 more expensive than the new Harley-Davidson Fat Boy. The 2018 Softail range just got all the more attractive with the Softail Deluxe.